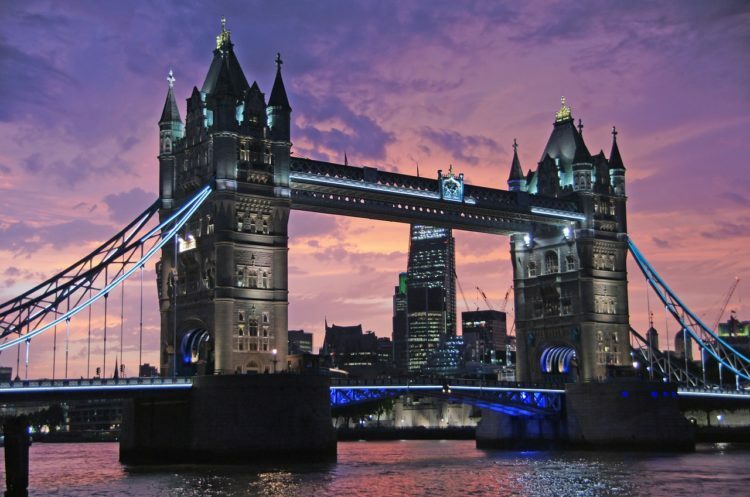 London is the most Instagrammed city in Europe, and with so many amazing sights, it’s not hard to see why! The entrance to this rooftop bar is tucked away behind Waterloo station and boasts beautiful views over London including the Shard. The jazzy décor, colourful cocktails and panoramic views mean you’re bound to get a great shot. Sign up to the newsletter and get a free cocktail! Set in London’s finance district, Leadenhall Market is a magnificent, covered, historic market where you can buy fresh food, clothes or grab a pint at a pub. This striking setting provides a perfect day or evening out, as well as a great photo opportunity. The incredible Victorian architecture dates back to 1881 and makes for a very British Instagram post. Some more of Britain’s greatest architecture! Climb the stairs of the beautiful Hintze Hall for a stunning view featuring the magnificent 25.2m whale skeleton named ‘Hope’. No filter needed for this historical insta! Keep your eyes peeled for the ‘quote of the day’ on London underground tube noticeboards. These quotes are there to uplift and inspire the public, or just to make you laugh. If you see one, take a snap and motivate your Instagram feed with some wise words. Fancy some cereal? Why not take a visit to one of the quirkiest breakfast hangouts in London? It has cereals that taste like your childhood and cereal packet lined walls that will probably give you déjà vu. This aesthetically pleasing abode provides the perfect eccentric snaps. Thirsty? Huge hot chocolates with all the toppings to go with your bright coloured ‘cocktail’ bowl of cereal. Match this with the old school tablecloths and you’ve got yourself a lot of likes! Get out of the big smoke and head to the outskirts of the city to get some country air and, more importantly, some snaps of deer grazing in the park. The clue is in the name! Primrose Hill is a grassy hill by Regents Park which gives a spectacular panorama view of London. Go on a sunny day to get the best view and of course, photo. This gallery and members club has only been open for 3 years but has already become an ultra-fashionable destination. Non-members can visit 12pm-6pm 6 days a week. The colourful artwork and bright neon lights transport you back in time to Soho in its heyday. Grab a coffee or sip on a cocktail while you brighten up your Instagram feed! Open 8am-2pm on a Sunday, Columbia Road Flower Market has been running since the 1860s. Prepare to be awed by the vast collection of beautiful flowers from all over the world. The cafes, food stalls and live entertainment creates a great atmosphere and adds to the hustle and bustle of the street. Head down early to avoid the crowds while you take your stunning snaps! One of the most famous bridges in the world, so definitely one for the ‘gram!’ If you have the time and money to go on a cruise and view it from the water, definitely do. Still, it is one spectacular bridge so you can get an amazing photo from any angle! These are just some of London’s best photo opportunities to get you started. With all our 13 hostels being in central London (all within underground Zones 1 and 2) you will never be far from any of these amazing sights. The longer you stay, the more time you’ll have to explore and add to your plethora of amazing photos #happysnappy!